New In For November, December 2018, as well as January 2019! Now that I am finally starting to see better, new glasses coming hopefully this week, I am hoping to finish getting caught up soon. Instead of posting my New In separately for the past 3 months, wow I am behind, I thought I would just put them all together in one big post! The Pantene Pro-V Cleansing Conditioner is something I think I will always buy, especially since I now have it on an automatic shipment from Amazon! I had set my recurring shipment to come every 3 months, I can change it at any time which is what I ended up doing right now, I just switched this to 5 months. I use a cleansing conditioner between regular washing, especially in the winter when I find that my hair can start to feel dry if I wash it to much. A few hand soaps from Bath & Body Works. During one of Bath & Body Works sales I picked up a few more hand soaps, I only pick them up when they are on for 6 for $20? I think that was the sale that was on at the time. I had taken my granddaughter with me and she helped pick out the scents this time, as well as one for herself to take home. I made a few Sephora orders over the past few months…The ABH Sultry and Clinique Get Cheeky palette I actually used a $100 reward I had picked up with points from the Sephora Rewards bazaar so they technically didn’t cost me anything! 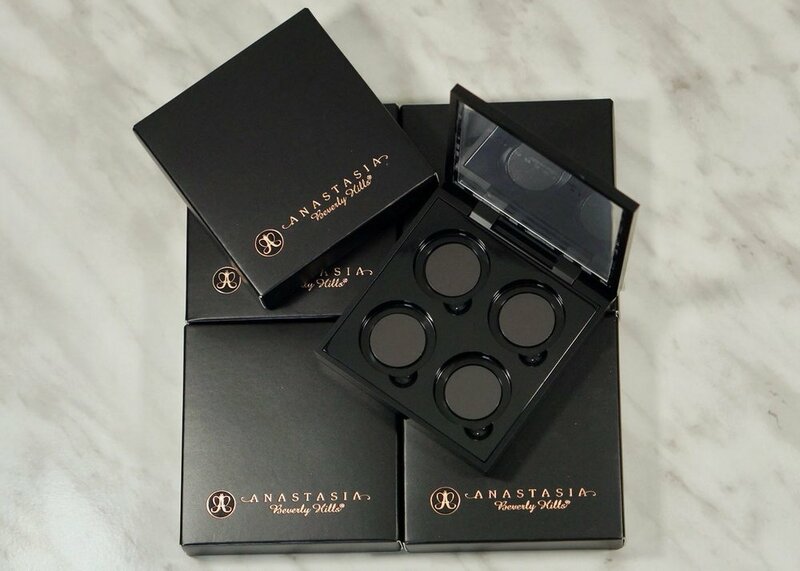 I have been waiting for the ABH empty 4 pan palettes to come back in stock and when I saw that they were I grabbed 5…most round single shadows will fit in them so they are great for making up/storing your single shadows. Mac, ABH, Makeup Geek, etc all fit in there so it works out great. The empty palettes are also only $2.00 CAD, an absolute steal! Some of the samples I received with my orders, I really didn’t need anymore samples! But I just can’t seem to say no to getting more. 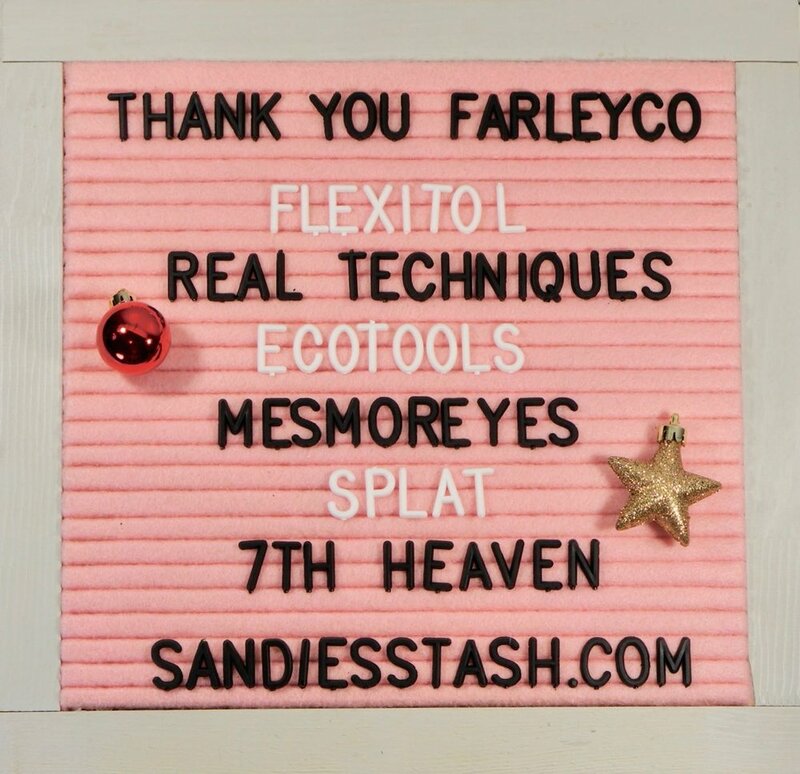 I was lucky enough to get a Holiday/Winter beauty box compliments of Farley Co. 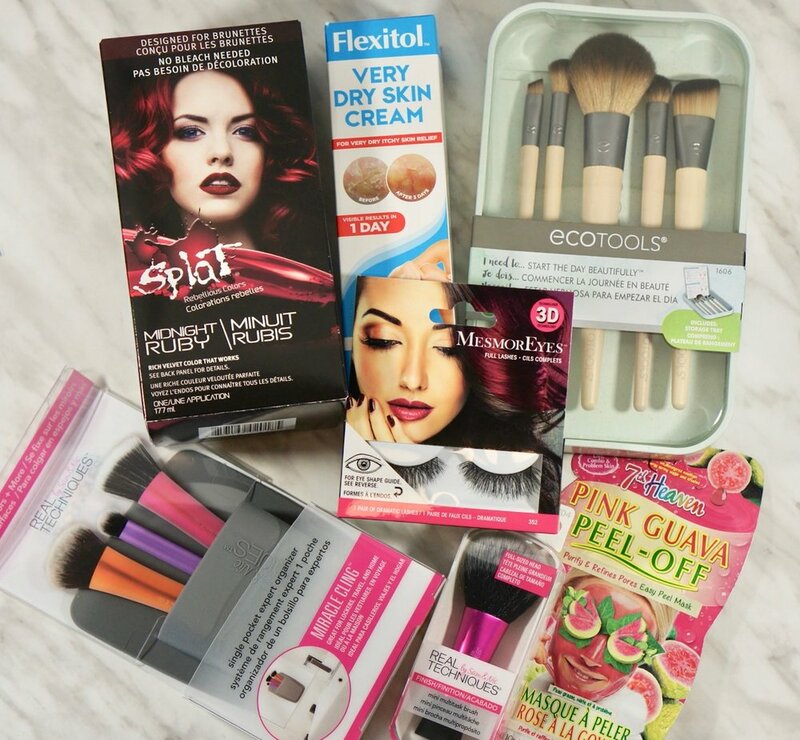 I received quite an assortment of products that I am looking forward to trying out. All of the goodies I received compliments of Farley Co! I received quite an assortment of products from Farley Co, brushes (my favourite! ), a face mask, lashes, hair colour (I will be trying this out on my daughter), as well as a cream. The Real Techniques Miracle Cling brush holder doesn’t have to hold brushes, we are using it in our bathroom to hold our toothbrushes! I have taken it off of the mirror a few times and have had no trouble getting it to stick back to the mirror. Of course there were a few more trips/orders at Sephora…. The only thing I picked up for Black Friday was the Tarte blush/mascara (which is actually still available…), there just wasn’t much that I thought I needed nor wanted this year. As soon as I saw the Too Faced Mini Melted lipstick set I knew I wanted it but it was out of stock all the time. Lucky for me I was browsing the site, as you do, and noticed it was in stock so I quickly ordered it! When Sephora did the usual $25 off a purchase, this year it was a $75 purchase I think, I had been planning to pick up the Dominic Cosmetics Latte Palette so I added the MUFE Essential Wonders set to get me to the required spend. The MUFE set has the lipstick shade in M103 which is a shade I have been meaning to pick up anyway. Just a few things I ended up picking up over the past few months, a beautiful nudey shade of pink from Morgan Taylor from the Marilyn Collection in Hollywoods Sweetheart. As you will see from my empties post, coming soon!, I was in need of a new hair brush and had previously picked up this one from Olivia Garden and liked it. My daughter ‘accidentally’ took it with her when she moved to her apartment though so I picked up a new one. I had seen some good reviews about the Life Exfoliating Foot Mask so I wanted to try it out. It didn’t do much for me but I think it was user error, I actually did this right before my surgery so I wasn’t doing much, I plan on picking up another one to try again soon. Imagine, another few Sephora purchases! I picked up these 3 products after Christmas while Sephora had the sale on sale promotion. 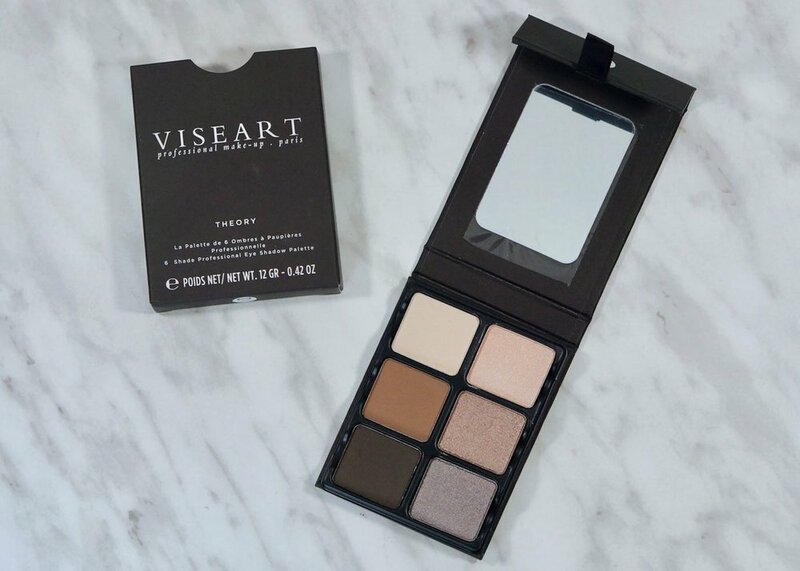 I have wanted the Viseart Theory Palette in Cashmere for quite some time but for some reason never picked it up. After Christmas it was in the sale section for $48.00 CAD, minus a further 20%! The glitter applicators where also on sale for $7.50 CAD, I paid under $7.00CAD taxes included for them, they may end up being gimmicky but for that price I thought it was worth a shot. And finally the Bite Liquified Lipstick in Whip, I think it will be a great nudey shade for me and it was on sale for $14.00 CAD! Some more of the samples I ended up getting from various Sephora orders…, I did not pick out the Purity nor the MUFE, does that happen to you? Sephora seems to like sending out whatever samples they feel like at the time. 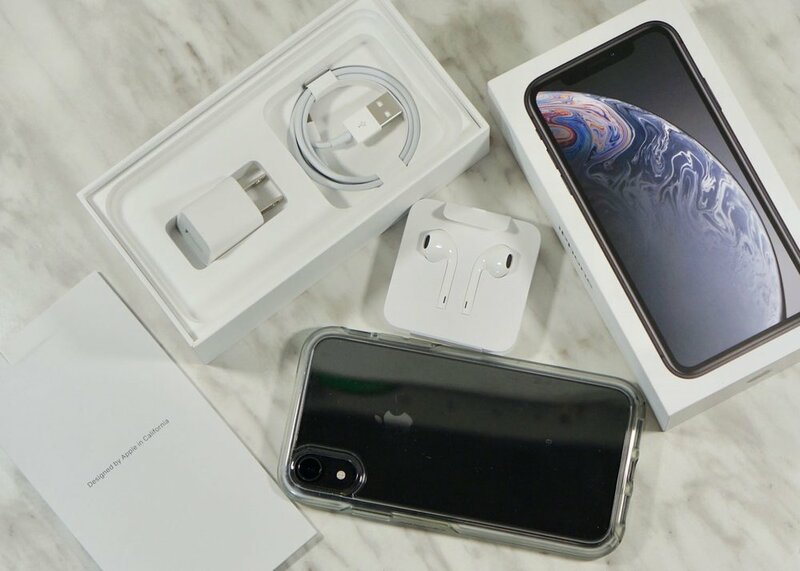 This was actually an early Christmas present from my husband, the new iPhone XR. My previous phone was the iPhone 6, which I have had for quite a few years and still works fine its just fairly slow. I have never been happy with the camera on the 6 either. The iPhone XR has a great camera, both front and rear, and is really zippy loading anything! Not to mention the screen is quite a bit larger on the XR. I am hoping to start to get in the habit of taking more pictures with my phone and posting more on Instagram, maybe I will even start posting pictures of my face! Lastly, I have been kind of falling down the rabbit hole of YouTube while being stuck at home without being able to do much. I had seen quite a few videos on this plastic organizers from Dollar Tree and was hoping that the Dollar Tree here in Canada would have them. I was glad to see that they did! Each ‘tower’ consists of 3 separate pieces, 2 drawers and a topper. Each piece of my organizers cost $1.25 each, for a grand total of $3.75 each tower. I picked out 1 lipstick holder and one other organizer, not to sure what you’d call that one. My brother-in-law glued each tower together for me using A5000 glue from Walmart. I am planning on keeping these 2 organizers on my desk and filling them with products that I want to use for the week/month. As you can see from the pictures they really do hold quite a bit, the drawers are small but do hold concealer, mascara, and even a Tarte round palette. I was surprised that the lipstick holder holes are big enough for the KVD bullet lipsticks and even Essie polish. The other one I hope to store the foundation, primer, any new brushes I want to try, etc. Since I have not been able to do much; editing pictures, writing, etc, I have been working on reorganizing my makeup desk and office, its a horrible mess! Any interest in seeing how it turns out?! Let me know.